Considering it was just announced in late February, it was a pleasant surprise to see We Happy Few at PAX East last weekend. 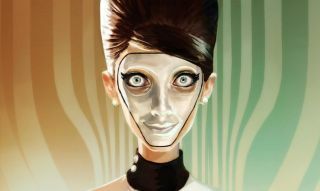 Compulsion Games' first-person, alternate-history '60s dystopian game turned our heads with its retrofuturistic look, and its premise left us with a box of unanswered questions about how it'll actually work. To gather answers I chatted with Compulsion's creative director on the PAX show floor.